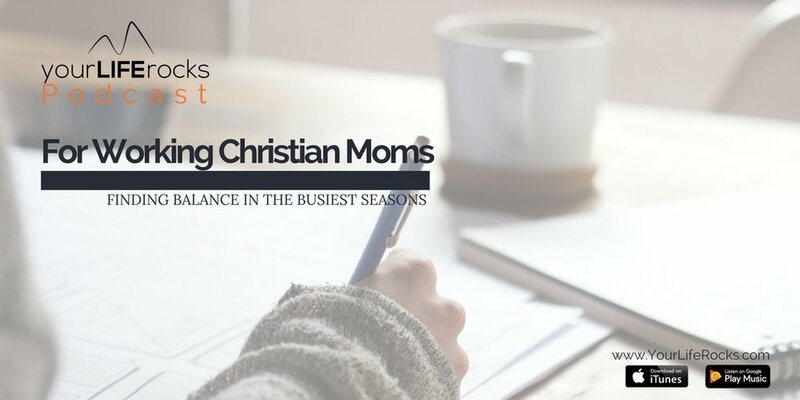 Tis the season for goal setting. I love the week between Christmas and New Year. It is so calm and casual. Perfect for reflecting on the year that has passed and making plans for the year to come. Let me be clear, I am not a new year resolution kind of girl. I’m the kind of girl that believes in always moving forward, setting challenging goals, working to improve every day by the grace of God. The new year just feels like a fresh place to start. 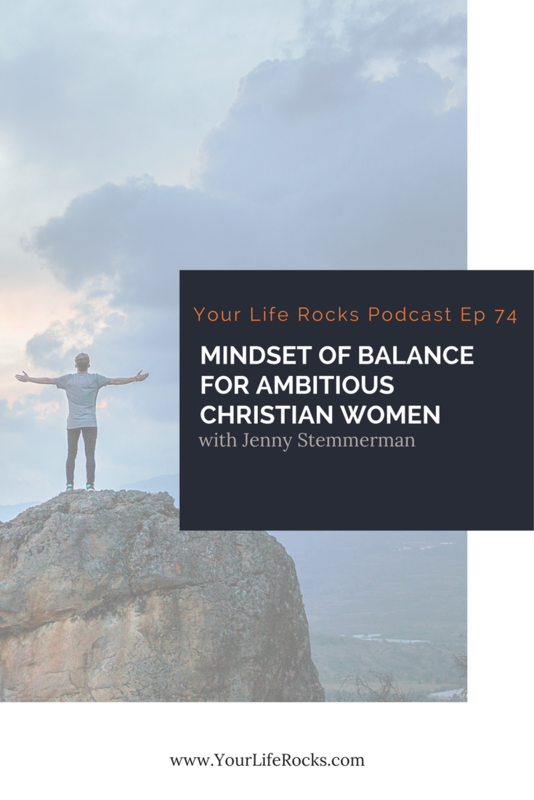 If you are like me and are planning on using this week to reflect and plan, this podcast walks you through doing so in a balanced way. Let me first say, I define life balance by setting and working toward goals in all areas of life. 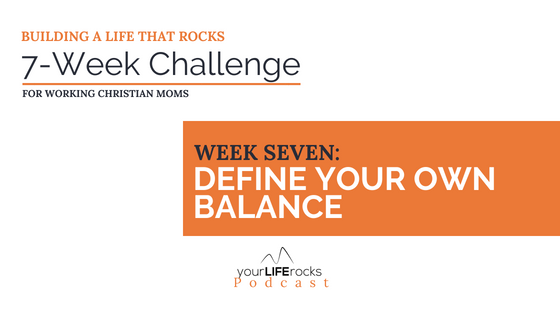 Here at Your Life Rocks, we teach about 8 areas of life: Faith, Marriage, Parenting, Career, Health, Finances, Home, and Friends/Fun. 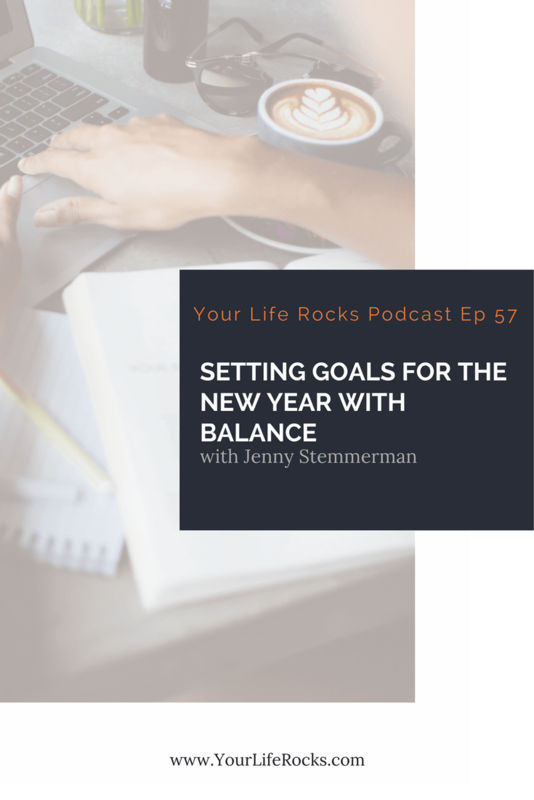 Why be balanced when setting goals? Well, so many reasons. First, let’s unpack the last year. Find a comfy quiet space, a good journal and let’s get started. Take time to unpack all that happened over the last year. Walk through each month January-December and recount the events big and small. Sometimes we can easily forget all that can happen in a year. To start the process off, remind yourself. Journal about all the great things that this last year had for you. Don’t limit yourself….write them all out. Isn’t God good? So many blessings! Notice I didn’t say “things that were awful”. We are naturally good at picking out the things we wish we could change, fix or take back. Try not to go there while you are reflecting on the year that has past. 1. It’s not helpful 2. It’s painful. Instead, think of 1-3 (no more than 3) things that held lessons for you in 2016. What did you learn that you can take into the new year? Once you have done this, it’s time to pray. Give thanks to God for all that he has provided in the last year. It can be so easy to jump ahead and pray about what we want for the new year. Don’t miss this step to give praise and thanks! Now that we have unpacked 2016, let’s look ahead to 2017. Just as a word of caution, don’t try to be perfect with your goals. They are your goals. You can change them anytime for any reason. Your goals are for you and not anyone else. As you start this process, ask God what he might have for you for 2017. Ask him to show you, stir your soul and make it known. This is why I said above you can change your goal anytime. You might set a goal that feels right right now, but God may show you or guide you to something different in the coming weeks. When you are setting your goals, think about how you can be your best for God. Goals should challenge you and move you forward. When you think of you at your best, what feelings come to mind? Example, maybe at your best you would feel confident. Once you have that feeling set, ask yourself this question for every area of life: If I felt confident (or insert your own feeling here) in my marriage, what would that be like? Use this question as a guide to setting your goals. Write this out for every area of your life. Once you have your goals written out, now it’s time for the next step. Compare your goals. 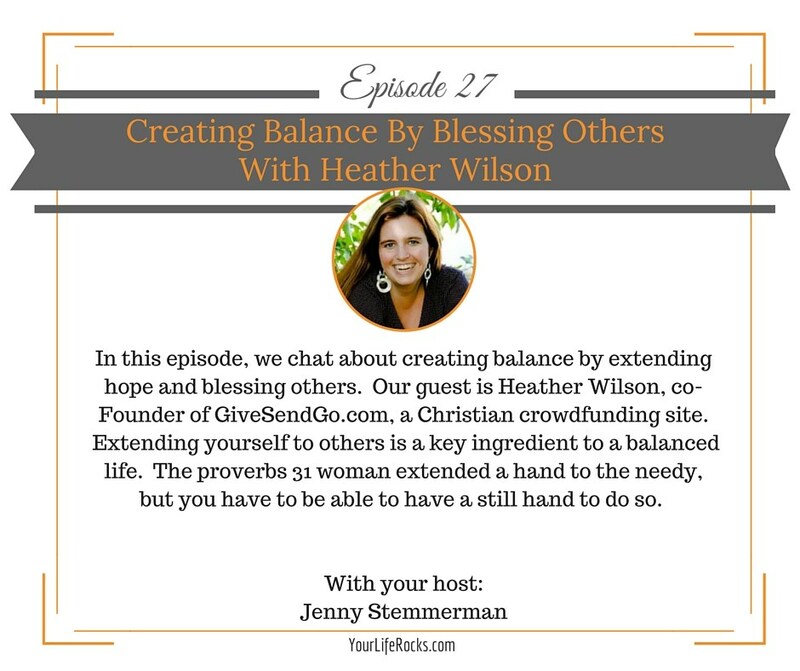 This is how you can ensure that your goals are balanced with each other. As your read through your goals, do they go together or compete with each other? Here is an example. Maybe your goal for your family is to go out and have family time once a week. Maybe your financial goal is to not go out so much and save money. Do you see how these are not alignment? Go through and adjust your goals as needed. Once you have your goals set, you need to find a system to help ensure that you will take action on them. Goals are great but mean nothing if you don’t take action on them. Find an accountability partner, set a schedule and plug in into your planner, or find something else that will work for you.